News > Monkey Business 3.17.03 Release - upgrade today! Monkey Business 3.17.03 Release - upgrade today! 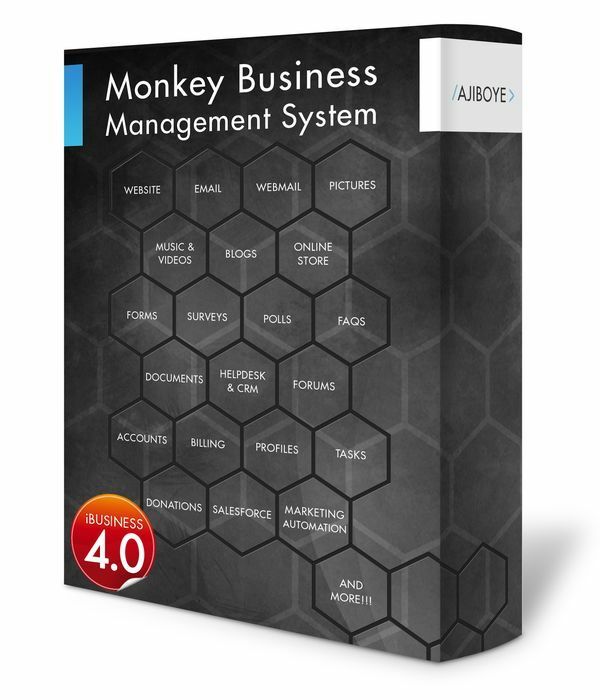 Greenwich, CT — Saturday, March 05 2016 — AJIBOYE is pleased to announce the release of Monkey Business 3.17.03. Expanded animation options in the Monkey Business Editor allowing fast and easy animation of content. Easy apply move, fade and zoom effects to any content at any of the following: onload, onmouseover, onmouseout and onclick. Automatic syncing of the content templates, custom codes and link-exchange business directory data on website upgrades to provide a complete availability of shared content in local repositories. Improved CSS code storage and formatting support by the Monkey Business Editor. Improved handling of newlines expands cross-platform support for all major operating systems: Linux, Mac and Windows. Performance optimizations can now be activated or deactivated conveniently in Website Settings. Performance optimizations are not automatically disabled by the Style Wizard and Mobile Style Wizard tools to improve style / design tools usability and performance. New html and body selectors for the Mobile Style Wizard provides easier targeting, style and design of base typography for the website / theme. New content data source priority settings in the Unified Search provides a more intuitive order of search results. New mobile height setting for text groups now provides finer control over the height of text groups on mobile devices. Fixed error in adding new addresses in the shopping cart checkout workflow, which affects a portion of new accounts. Fixed error in the new themes installation preventing remotely hosted media assets from complete and accurate installation. Fixed layout error in the the shopping cart checkout page for address and contact information to assure consistent rendering on all devices. Fixed performance bug in style wizard and mobile style wizard when performance optimizations are activated. Fixed error affecting display of multimedia on mobile devices resolving issues where media players or dialog windows are larger than available viewport on the device.